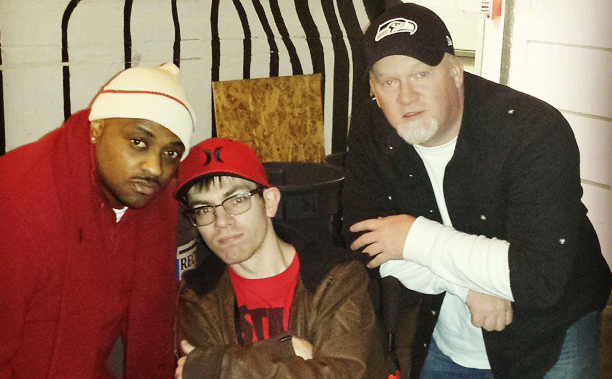 November 28, 2014 ~ The timing was perfect as earlier this month Governor Jay Inslee proclaimed November as Washington State Hip Hop History Month; following the lead of Mayor McGinn and the Seattle City Council who in 2010 proclaimed November Hip Hop History Month in Seattle. Washington Hall celebrated Hip Hop History with an all-star performance line-up of Seattle’s biggest names in rap music; along with some of the nation’s top break-dancers sharing the stage. Musical artists participating in a freestyle open-mic “cypher” included platinum selling artist E-Dawg, along with city favorites Suntonio Bandanaz, B-Ragg, Sammy Tekle, Ernesto Iraheta, and more! B-Ragg on the mic with David Toledo and Pablo D in back. On stage were DJ’s Able Fader, Cues, Sureal, and A.C. who kept the place rocking from start to finish. There was a delicious potluck buffet and a toy drive to help the B.U.I.L.D. Seattle Christmas giving-tree. 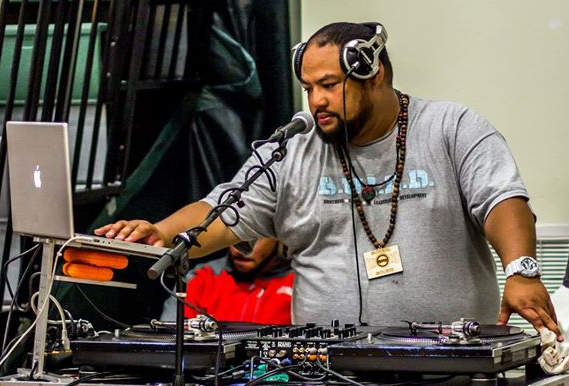 The event was sponsored by 206 Zulu, Seattle City Breakers, Unified Outreach, and Studio Narvaez, in partnership with 4Culture and Rane. 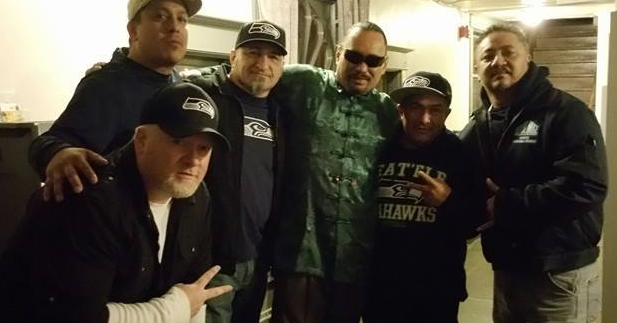 It was organized by Nathan (SireOne) Hivick and hosted by the North City Rockers Ernesto Iraheta and Pele’ Ross, along with the fabled Specs Wizard. The event will be the last break-dance celebration at Washington Hall for the next nine months as the facility begins to undergo renovations to restore the historic building and the install a new elevator; allowing special needs and wheel-chair bound visitors to enjoy the facility without limitations. The elevator installation will be a blessing to special-needs artists with limited mobility, such as 206 Zulu founder and President Danny (King Khazm) Kogita who has been in a wheelchair since childhood. 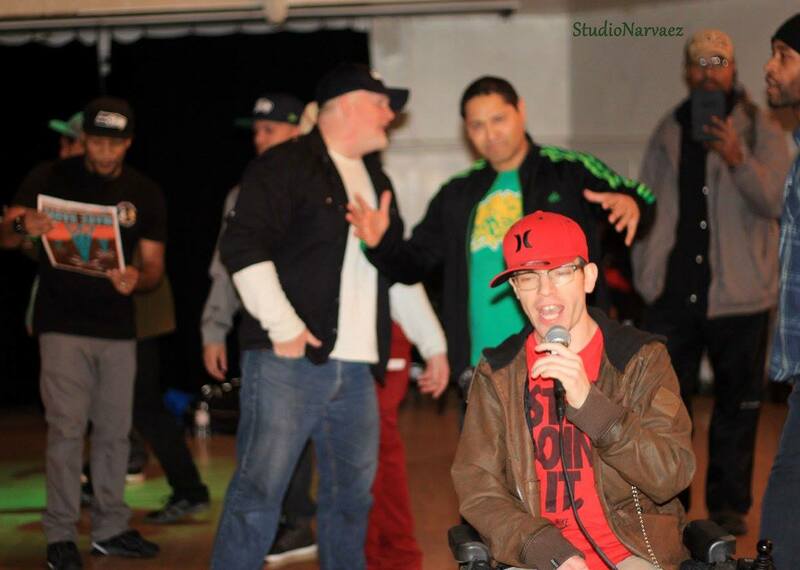 Also other artists such as Clayton (B-Ragg aka C-Dogg) Bragg who has limited mobility due to cerebral-palsy. Clayton is a rapper from Lynwood, Washington who as has a video channel on YouTube which provides regular album reviews for NW CD releases. Clayton has been spending time in the studio and is expecting his album out in early 2015. 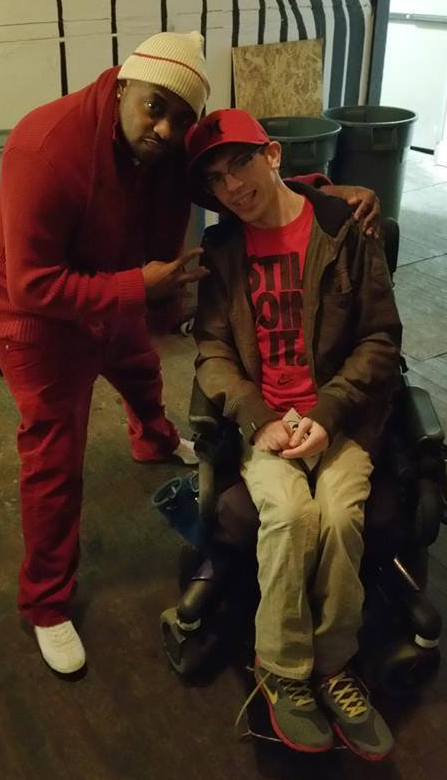 It was after reviewing the E-Dawg CD “How Long” that Clayton was contacted with a special invitation to attend the November 28th performance as E-Dawg was headlining the event. David Toledo (Unified Outreach) made all arrangements and acted as Clayton’s personal assistant throughout the evening; physically carrying the artist up 3 flights of steps to the performance hall and making sure that Clayton had full access to E-Dawg and the other artists as well as great seating for all performances. “It was great having B-Ragg attend the event. He’s doing a lot with his video blog and he’s hard at work in the studio. The crowd really enjoyed hearing him rap tonight; and with his own album coming out we believe that one day he’ll be headlining one of the shows.” David Toledo said. Clayton said he really enjoyed the show and is especially excited about the people he was able to meet in person including E-Dawg, Seattle City Breaker’s founder Carolos (Slam) Barrientes, King Khazm, and most importantly DJ Sire One and Pablo D who occasionally act as guest hosts on Boom Box Radio; a Everett-based rap program that broadcasts on Friday nights at 10pm on station KSER 90.7 Fm. Clayton is looking forward to having his new album break on the show. The event was also attended by a bevy of local celebrities including Georgio Brown from Coolout Tv and Dave (Pablo D) from Studio Narvaez; the two partnered in October for a Hip Hop Celebration at the Experience Music Project (EMP). Also attending were TYRONE “the Working Class Hero” Dumas, members of the North City Rockers, the Vicious Puppies, Massive Monkees, Seattle City Breakers, Circle of Fire, and other famous groups. Highlights of the night were an all-girl breakdance cypher which saw the return of Seattle’s old school b-girls Amber Jamieson and Jojo Tabora-Dyckhoff to the dance floor; as well as a “Seniors Classic” which featured “Seattle’s first b-boy” Junior Alefaio. Judges for the night included the incredible Rigo Jones, Seattle City Breakers founding father Carlos “Slam” Barrientes, and consummate b-boy Rafael Contreras. Wrapping up the evenings events Sam “Preach” Dumas, founder of the (Masters of the Prep aka Party People in Action dance crew) issued a challenge to 1980’s dance rivals “the Ducky Boys” to meet at the same time next year for a “prep only” dance off; reviving a rivalry that goes back to 1985 and the Seattle Bandstand television show. Will the Ducky Boys accept the challenge? We’ll know in exactly 12 months! With construction estimated to take 9 months the event organizers hope that everything will be ready in time for the 2015 Hip Hop History Month celebration. Next year’s event promises to be on for the ages! Story and photos may be reprinted in their entirety.